Five specialty colors that are needed occasionally to adjust, enhance, or neutralize. 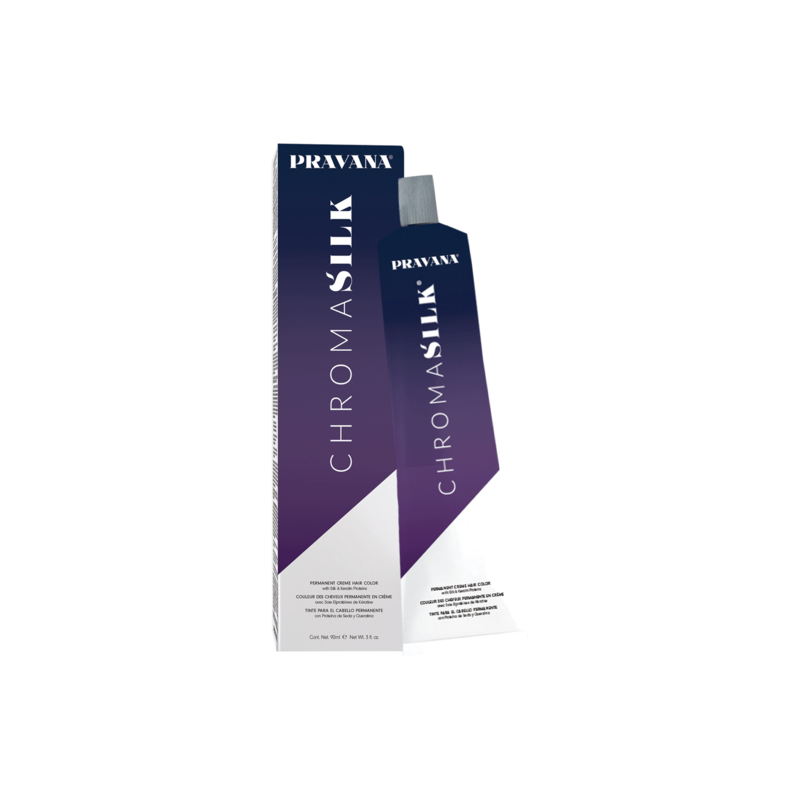 Chromasilk has three correctors to help neutralize unwanted tones: ash green, ash blue and ash. Ash green neutralizes red tones when starting level is one through three. Ash blue neutralizes orange tone when starting level is three through five. Finally, ash neutralizes orange or gold tones when the starting level is six through eight. The two additives, red and yellow can help pump up or enhance a tone. Additionally, if an orange additive is needed, mix together red and yellow. These colors can be added in inch increments to the Chromasilk VIVIDS formula without the requirement of additional developer required.